Riley Surface World announces agreement with new USA trading partner. Riley plays major role in bringing redundant costume jewellery manufacturing site back to life. Riley assists Irish sheet metal company with its expansion into paint and powder coating. Riley recycles former GKN robots for the benefit of Midlands skip manufacturer. Riley Surface World at Advanced Engineering, NEC, Birmingham, UK. November 7  8, 2012. FINANCE available on all new and used machinery! 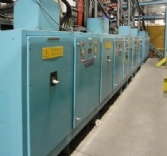 02/11/2015 - Fokker anodising plant, sale closing next week. 01/06/2015 - SUR/FIN USA opens in 5 days! 22/09/2013 - Surface World opens today! 18/09/2013 - Surface World opens next Tuesday! 12/08/2013 - 138 machines on special offer from today! 18/02/2013 - Latest used machinery magazine now online! 03/12/2012 - Special Offers ending tomorrow! 20/11/2012 - Site clearances ending in 2 days! 05/11/2012 - Advanced Engineering exhibition opens tomorrow! 12/10/2012 - Latest News from Riley Surface World. 28/09/2012 - Latest News from Riley Surface World. 14/09/2012 - Direct Site Clearances now online! 19/08/2012 - See our latest stock in one click! 31/07/2012 - See our latest stock in one click! 02/07/2012 - Direct from site clearances now online! 25/06/2012 - Direct from site clearances now online! 20/02/2012 - Riley's Machine World magazine now online. 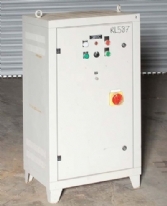 04/10/2011 - Rectifier stocks to be liquidated in Online Auction! 11/04/2011 - Special Offers end this Friday! 16/02/2011 - Surface Finishing stock clearance ending soon! 15/11/2010 - Over 50 machines added in last 30 days! 02/11/2010 - Special Offers ending on Friday! 29/07/2010 - We pay cash for unwanted surface finishing machinery! 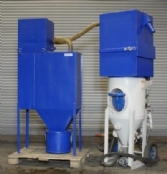 28/07/2010 - Sell us your unwanted surface finishing machinery! 22/03/2010 - Final 3 days of aerospace disposal! 16/03/2010 - Factory Clearance Now On! 12/03/2010 - Final Cobham viewing days next week! 02/03/2010 - Aerospace Disposal Viewing Next Week! 02/03/2010 - Dont Miss Viewing The Aerospace Finishing Plant! 16/11/2009 - Riley Surface World at Metalex Thailand this week! 16/10/2009 - Special Offers with Big Discounts now online! 22/09/2009 - You can now view prices at Riley Surface World! 24/06/2009 - Complete used remanufacturing plant for only £9000! 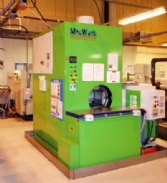 25/02/2009 - Used multi-stage spraywash systems from only £10,000! 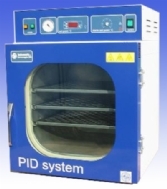 20/02/2009 - 40% discount on USED spray and jet cleaning systems!